Following the death of Kurt Cobain and the dissolution of Nirvana, drummer Dave Grohl founded Foo Fighters in 1994 and it was the start of something pretty special! Over 20 years and 8 incredible albums later, Foo Fighters have become one of the biggest rock bands in the world. 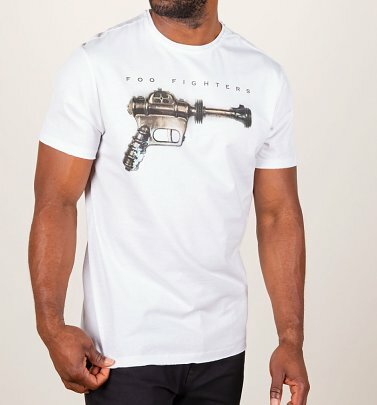 We think Dave Grohl and the whole band are total legends - if you feel the same, pay tribute to these much-loved statesmen of alt-rock with our wicked Foo Fighters T-Shirts!